Home » Blog by MOD&SOUL » Shop New Arrivals! New arrivals have hit the site and can we just say that we're obsessed with everything!! We couldn't wait to show them to you so we dedicated this post to feature new pieces that are perfect additions to your winter wardrobe! Also, if you've noticed some changes, that's because we're redesigning the site and the layout of the blog! We're excited for the end result! Our favorite might just be this gorgeous dusty rose velvet top. 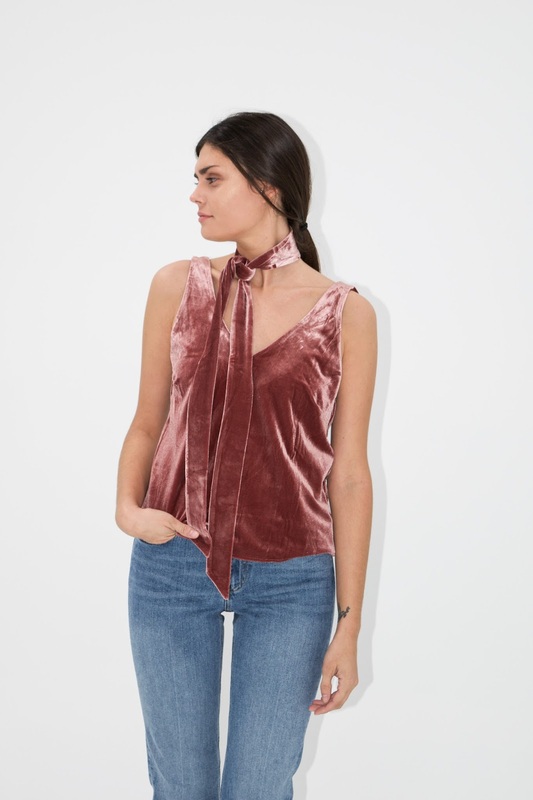 Velvet is this season's biggest trend and we love the feminine look this top has. Not to mention the built in scarf is the perfect accessory. 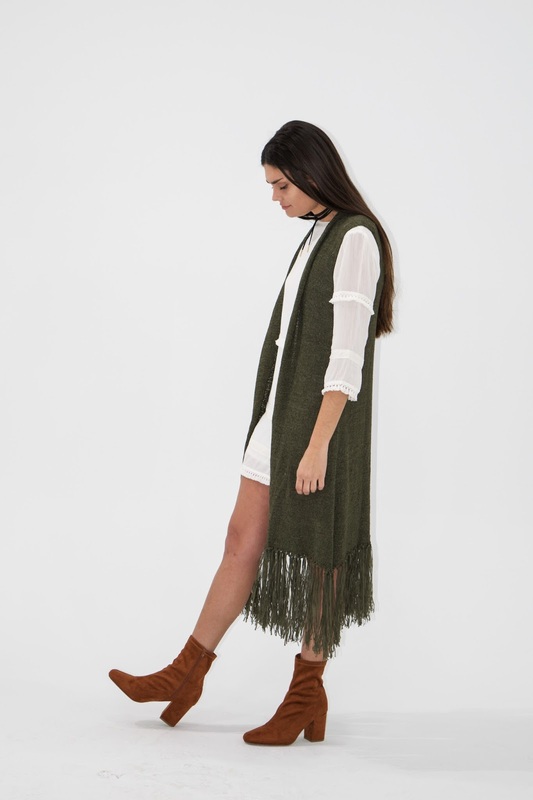 Create the ultimate bohemian look by pairing this new olive green fringe duster over a classic white shift dress. The look is simple, elevated, and right on trend! Can we talk about perfect this dress is for the holidays! We've been feature some holiday look on the blog in the past few week but this one might just take the cake! Off the shoulder with adorable bows on the side just have us wishing for a party to wear it to! To elevate a casual look, we love switching out basic shirts for ones with a bit of added details. 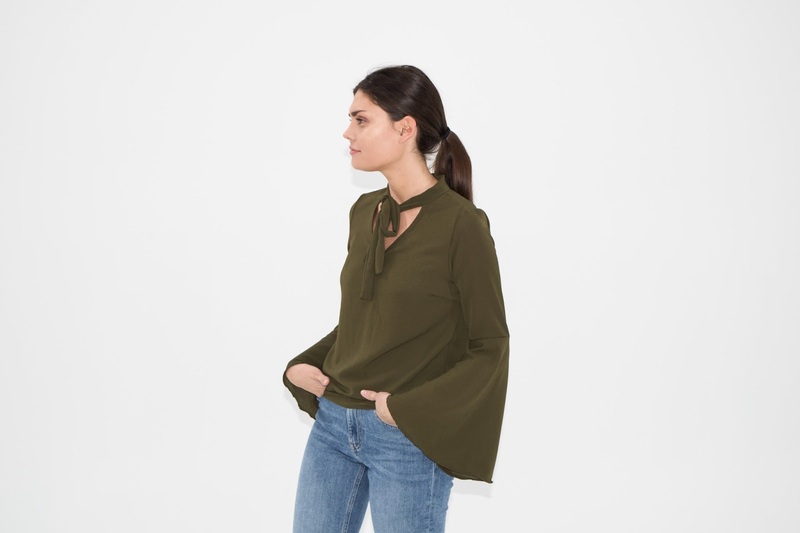 Wear this bell sleeve top with your favorite pair of jeans for an instantly complete look! If you have an event coming up thats not formal enough that requires you to wear a dress but still want to look cute...try a top like this! This glittery gold top with a pair of black pant and heels is an instant party look. Not to mention its ideal for New Year's! Looking for something cozy? So are we...and we plan to wear this fuzzy jacket every day! Keep it casual with jeans and a tee or wear it over a dress for a trendy look! Looking for something different? We have tons of other new arrivals on Mod&Soul.com that would be perfect gifts or additions to your Christmas list!